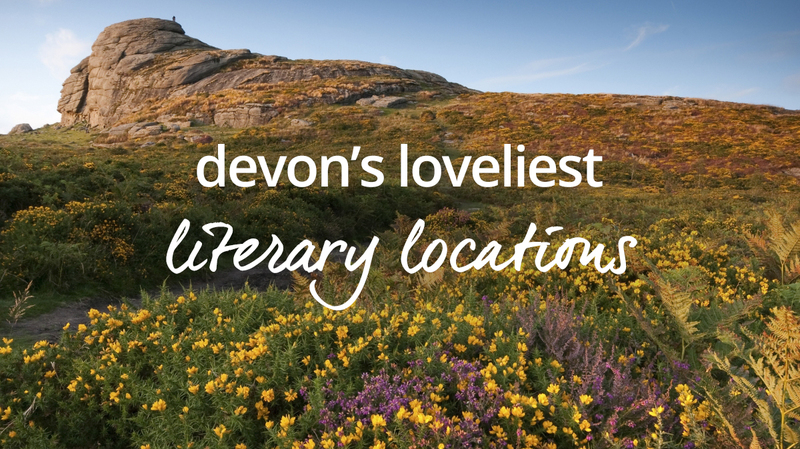 Some of our greatest writers lived, loved and found inspiration in Devon’s beautiful locations. 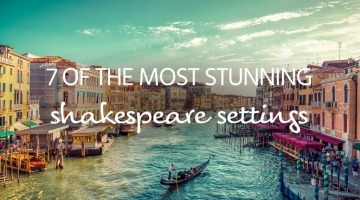 Take a literary tour and discover the best of them for yourself. DameAgatha Christie was born in 1890 in the English Riviera town of Torquay. Christie wrote more than 80 books and is, unsurprisingly, the all-time best-selling fiction author in the world. She loved the area – even honeymooning in Torquay’s seafront Grand Hotel- and used many nearby locations for scenes in her classic ‘whodunnits’. Walk the ‘Agatha Christie Mile’ along Torquay seafront and don’t miss the annual International Agatha Christie Festival in September. Overlooking the River Dart, and now cared for by the National Trust, ‘Greenway’ was Christie’s beautiful holiday home. It also served as the setting for three of her classic mysteries. True Agatha aficionados can even stay in a gorgeous Greenway apartment with cottages.com! Arthur Conan Doyle stayed in Princetown village whilst researching one of Sherlock Holmes’ most famous cases: The Hound ofthe Baskervilles. Fox Tor Mire was the inspiration for the fictional Great Grimpen Mire in which his villain (SPOILER ALERT!) dramatically drowns. 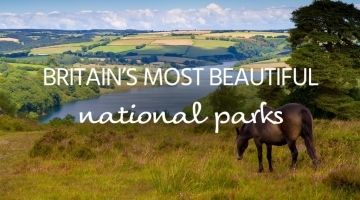 Dartmoor is a hugely diverse habitat made up of moorland, heathland, rivers, woodland and the mires. Today you can enjoy the wild drama of Dartmoor with a challenging moorland hike, keeping your eyes peeled for the famously shy wild ponies, if not ghostly hounds! Yorkshire born poet laureate Ted Hughes moved to North Devon as a young man in 1961. He loved this part of the county and this is reflected in his later writing. Before he died he requested that a granite stone be engraved with his name at his favourite spot in the middle of Dartmoor. 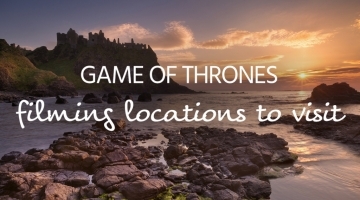 Amazingly, the location of the stone remained secret for five years until it was discovered in 2003. It is now possible to hike out to the lonely stone, sited near a scenic spot where the Taw, Dart, East Okement and Teign rivers rise. A ‘Ted Hughes Poetry Trail’ has also been created at Stover Country Park, near Newton Abbot. Here Hughes’ best poems about the natural world can be seen and heard around the park at 16 ‘poetry posts’. A ‘Children’s Poetry Trail’ also features some of Hughes’ most memorable animal poems. Richard Doddridge Blackmore, famous for penning Lorna Doone spent most of his childhood in North Devon. Exmoor and the real Doone Valley, near to Lyntonwas the inspiration for his classic novel. Published in 1869 the ‘romance of Exmoor’ describes the turbulent love story of Lorna Doone and John Ridd against the backdrop of this lonely, alley. Also known as Badgeworthy Valley, Doone Valley retains its charm for today’s explorers. It’s around five miles from Lynton and you can take a serene stroll from the village of Malmsmead. There you’ll find the Lorne Doone Farm and nearby the Blackmore Memorial. Walkers will also enjoy spectacular views across the great expanse of Exmoor. The original War Horse novel– which has been made into a hugely successful play and film – was written by Devon-based author and former children’s laureate Michael Morpurgo. He was inspired to write the story after meeting war veterans at a pub in his local village of Iddesleigh on Dartmoor. Shot on location on Dartmoor, with highlights including Haytor, Combestone Tor, Venford Reservoir, Meavy and Sheepstor, the film’s director,Steven Spielberg enthused about the natural beauty at his disposal. Morpurgo based the farm in his novel on Parsonage Farm, near Iddesleigh, which is today a part of War Horse Valley Country Farm Park and a great place to learn about its wartime history. Placing Tarka in the dramatic dark forests and gorges, tidal mudflats and, of course, rivers of an otter’s home, Herny Williamson’s Tarka the Otter was first published in 1927. Williamson spent most of his life in North Devon taking inspiration from the idyllic Taw and Torridge rivers. He used real place names throughout the book, such as Bideford Long Bridge; The Beam Aqueduct and the canal bridge near Weare Giffard (where Tarka’s journey began) making it easy to discover these beauty spots for yourself. The Tarka Trail cycle way and footpath, (over 30 miles of accessible, disused railway line) takes you to many of the locations mentioned in the book. Amazingly, they are still as described, even today!